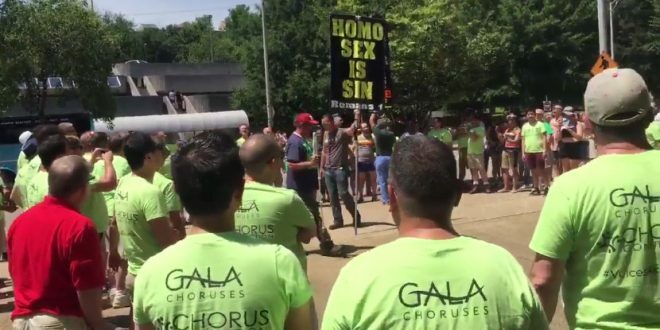 KNOXVILLE: Gay Chorus Drowns Out Haters [VIDEO] - Joe.My.God. A couple of the usual haters appeared at Knoxville Pride this afternoon to wave their anti-LGBT banners and shout abuse. Not having it was the touring Washington Gay Men’s Chorus, who encircled the haters to deliver a rousing rendition of We Shall Overcome. The chorus is in town as part of their Southern Equality Tour. Watch below.